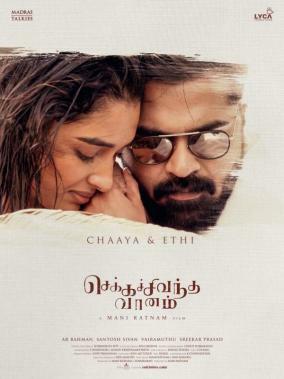 Nobody could have asked for such a stellar debut and Dayana Erappa’s entry in Tamil cinema with Mani Ratnam’s multi-starrer, Chekka Chivantha Vaanam, is testimony to the fact. Dayana’s role proves to be a catalyst for Simbu in CCV and their pairing no doubt turned out to be a major highlight in the film. That said, Dayana Erappa during an exclusive interview with Galatta was queried on her lip lock sequence with STR in the “Mazhai Kuruvi” song in Chekka Chivantha Vaanam. She goes on to state there were no rehearsals to shoot the sequence, but the team had to go for around 6 takes since they had to lock in on several angles. Dayana also reveals the Chekka Chivantha Vaanam team had taken two days to film the stunt chase sequence in which she was part of with Simbu.